During your stay in Koh Samui, our company, Creative Aventure, offers you to do different “sea excursions”. You can, at your convenience, take the formula “All inclusive” or choose for a simple “rental of the boat”. 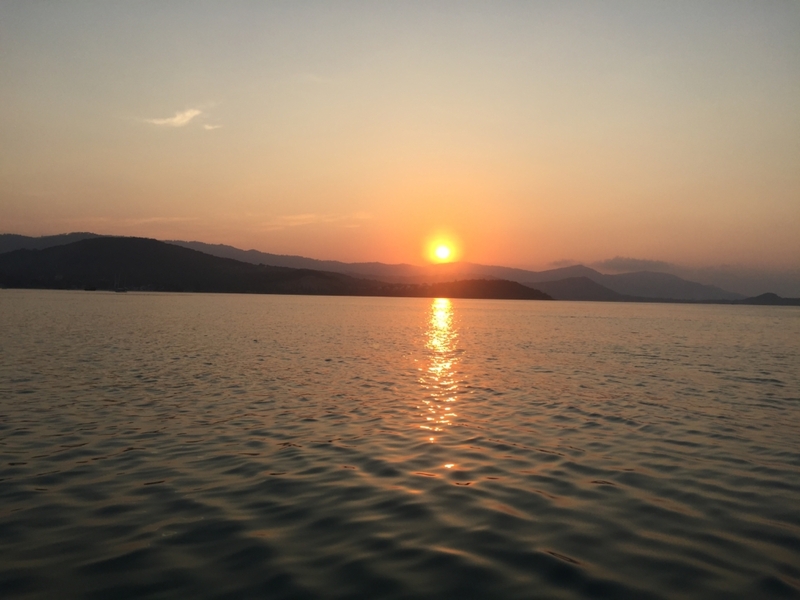 Embark on our brand new speed boat the “Color of the Sea” and we will make you admire the beauty of the Ang Thong National Marine Park, discover the paradisiacal beaches of Koh Phangan or go around Koh Samui by the sea ” Samui by Boat “, not to mention the islands of South Koh Tan, Koh Matsum and the Five Island. It is soon time to cast off, so check out our main daily tours below. And thanks to our WIFI network on board live your day to family or friends. 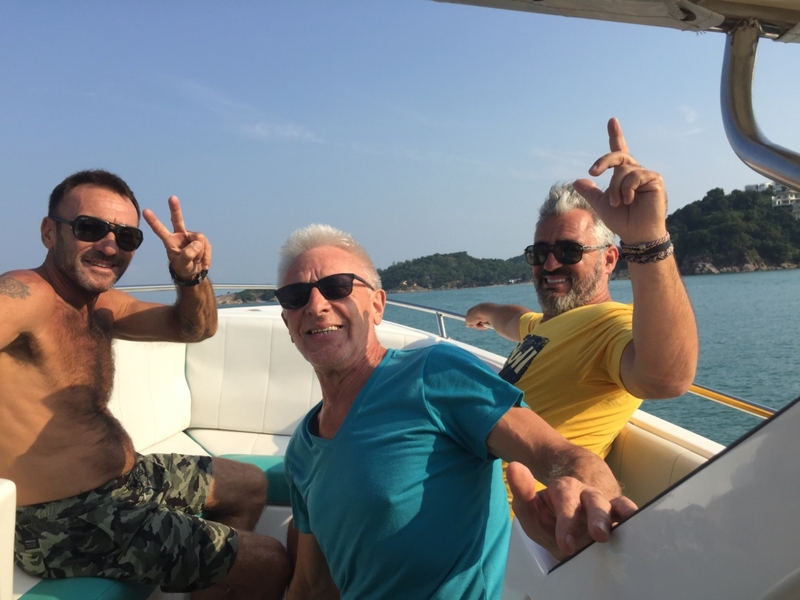 Aboard our beautiful turquoise boat, and from our home port we will head to Koh Phangan Samui’s little sister. Depending on the weather and the prevailing winds we will take an east or west direction to reach our first point after 1/2 hour of navigation. 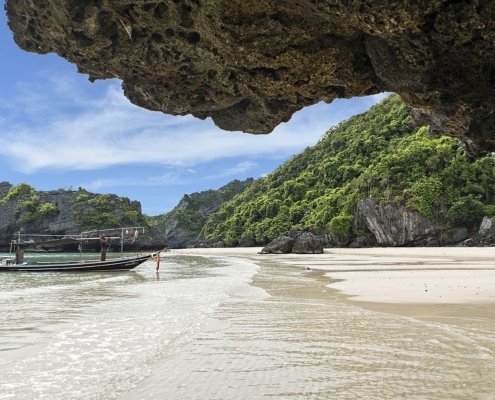 Snorkeling and …..
Want to discover Ang Thong National Marine Park? We offer a day trip, aboard our recent speed boat. We will leave the small port behind Big Buddha for this unforgettable day at sea. 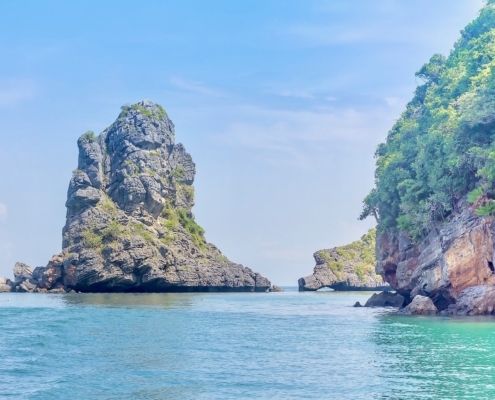 The national park is located about 30 km northwest of Koh Samui, about 50 minutes crossing …..
Koh Phaluai, nicknamed “Green Island”, is a few nautical miles from the famous Ang Thong Marine Park. We offer this excursion to explore this island with many facets. 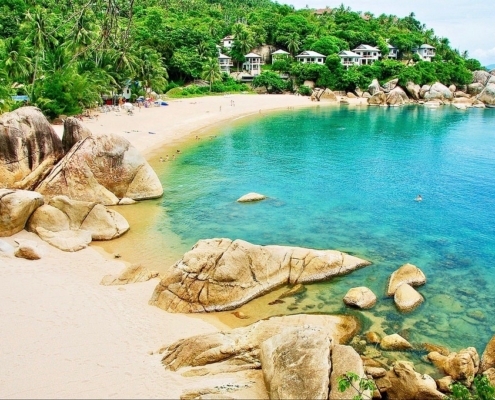 Embark aboard the “Color of the Sea”, and departure by the west coast of Samui, direction Angthong for a crossing ….. When “AVDENTURE and EXCEPTION” invites you on a daily basis: Our excursions are far from “mass tourism” and are generally aimed at “Francophones”. We are still in “small committee”, with a Thai captain, a boy boat and and a guide. You can also “Privatize the boat”. The RATES are “HERE” and you can BOOK it’s “THE”.